In a large resealable plastic bag, combine the first seven ingredients. Add chicken; seal bag and turn to coat. Refrigerate 4 hours or overnight. Preheat oven to 325°. Spread 1 cup rice into each of two greased 13x9-in. baking dishes. Top each with 1 tablespoon lemon peel, 8 chicken thighs and half of the marinade. 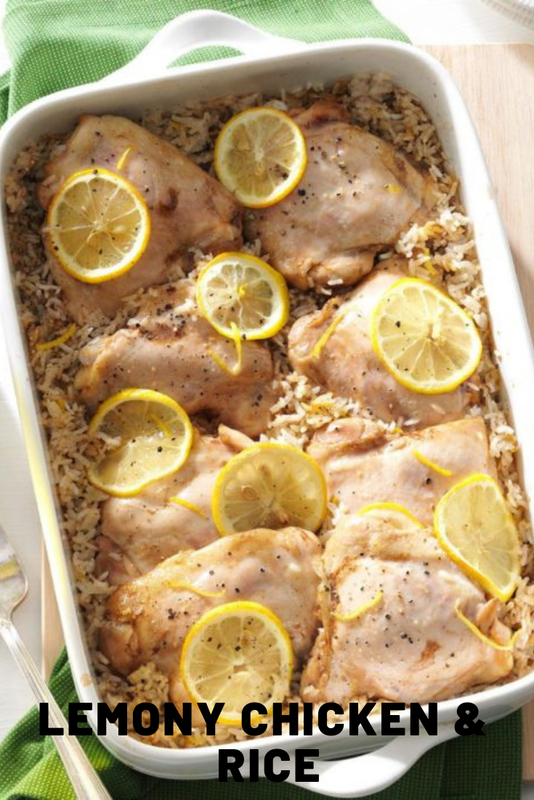 Top with sliced lemons. Bake, covered, 40 minutes. Bake, uncovered, 15-20 minutes longer or until a thermometer inserted in chicken reads 180°. Sprinkle with remaining lemon peel.